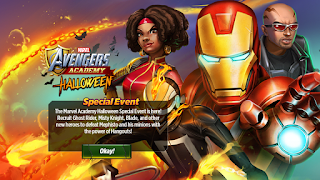 MARVEL AVENGERS ACADEMY: Halloween Special Event is LIVE! 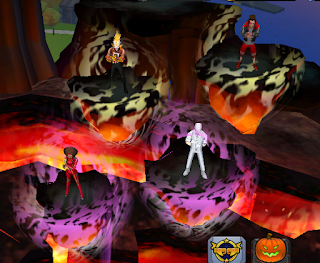 The Halloween event is now live in our games! In order to participate, players must download the latest update, be at Academy Level 6, and have built Van Dyne's Outfits. 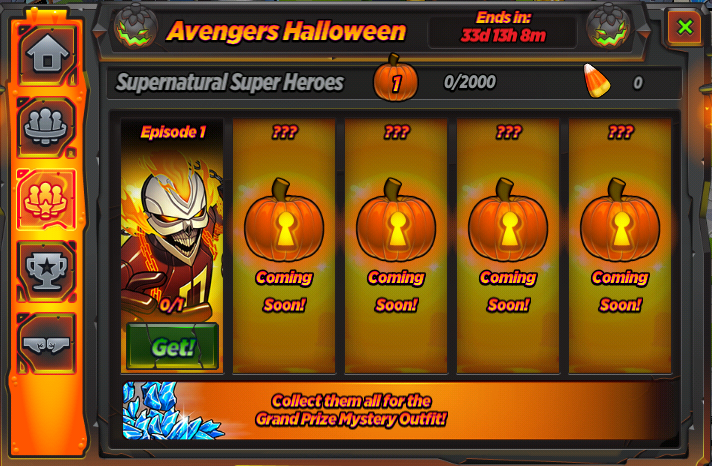 The Avengers Halloween Special Event ends on Thursday, November 3rd at 3 pm PDT/6 pm EDT. Episode 1 ends on Thursday, October 6th at 3 pm PDT/6pm EDT! 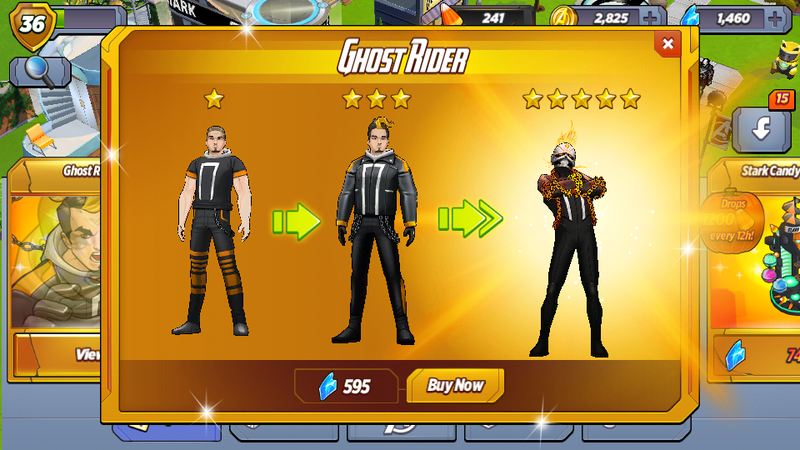 How do I get Ghost Rider? 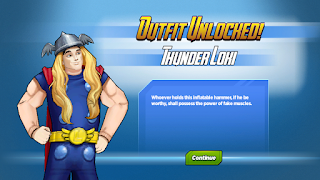 How do I unlock Thunder Loki? 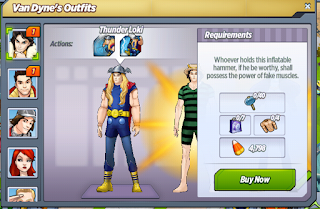 Thunder Loki is a special, limited-time outfit for Loki. 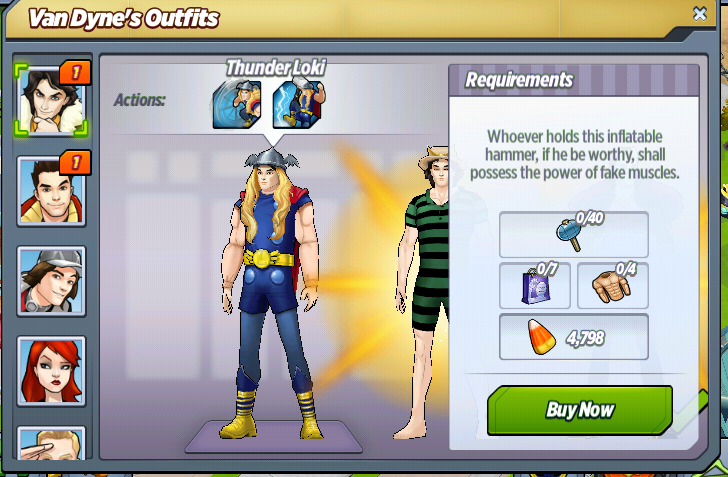 You can get it from Van Dyne's Outfits. How do I use Hangouts? 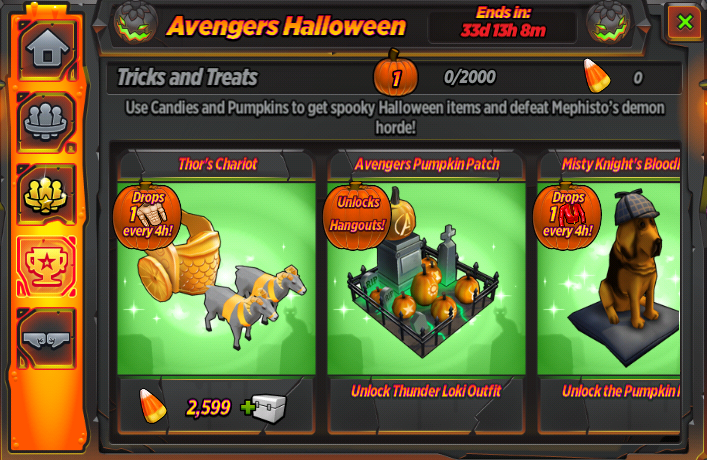 Unlock Thunder Loki and the Avengers Pumpkin Patch to have characters hang out. 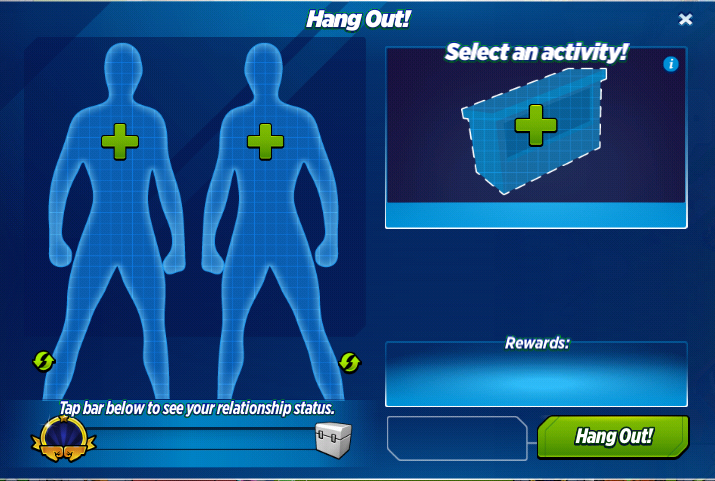 Send them on a Hangout to increase their relationship level and receive rewards! WORLD NEWS: FREAKS COME OUT AT NIGHT! Happy Halloween! 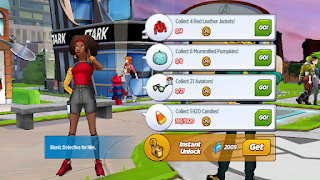 Costumed weirdos are nothing new at Avengers Academy, but the fall holiday means fun new outfits, adventures, and hijinks for the superhuman students. 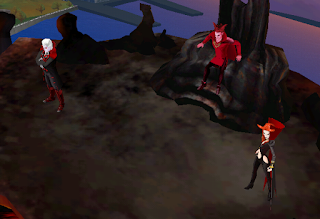 It also means that the extra-dimensional demon Mephisto has brought his hellish realm to the campus, accompanied by the demoness Satana, and their vampiric sidekick, Dracula. 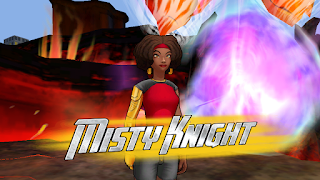 Bionic detective Misty Knight was investigating the phenomenon while the Avengers battled Kingpin and the Hand, but was captured when Mephisto stepped into our world. She's now trapped alongside the supernatural heroes Ghost Rider, Moon Knight, and Blade, as Mephisto uses his demonic powers to trap anyone who might threaten his infernal reign. I'm just gonna eat a bunch of candy, and egg my neighbor's house. Loki: Why must you always be shrieking like some cheerleading banshee?! Wasp: Did I scare you? Were you thinking about your costume? Are you gonna be a strawberry? You'd be the best strawberry! Loki: I was concentrating on the area beyond the gates where the ninjas were opening a dimensional rift. They failed, but something infinitely more powerful is using the weakened barrier to enter this realm. Loki: Only if you would describe a soul-stealing extra-dimensional demonic Hell-Lord as spooky. 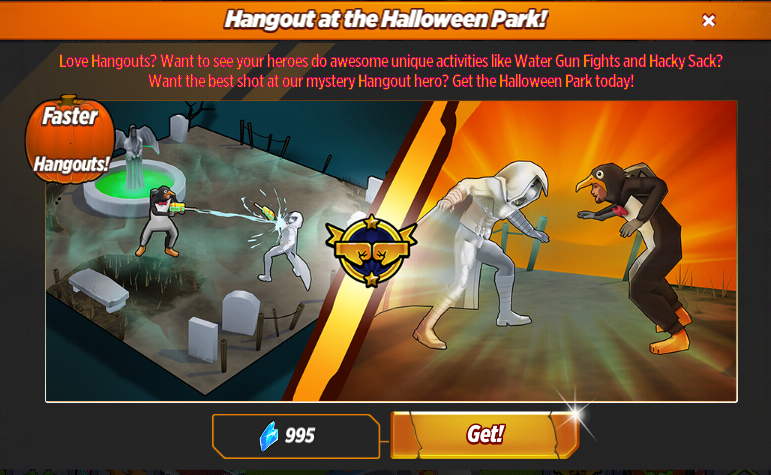 Wasp: It's Halloween! I call everything spooky! Dracula: You promised me superhuman blood, Mephisto. Dracula: Turning the Avengers is my only chance to save the vampire nation. 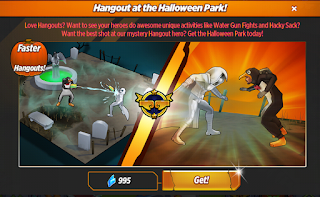 Wasp: It's Halloween! Let's get some candy! Wasp: Nothing gets between me and my candy. Black Widow: Did you already eat that entire bag of candy? Loki: We'll need something to trap the demons after they've been defeated. Iron Man: I can use my tech to make some demon traps until we move them to a larger containment unit. I saw it in a movie once. Loki: I never know if you're being facetious or simply idiotic. Iron Man: Who you gonna call?! Satana: When are we making our move? I'm sick of Dracula's coffin breath. Satana: Don't dodge the question by trying to steal my soul. That's not cool. Mephisto: My Fire Demons will create chaos, my powers will turn the Avengers against one another, and this dimension's souls will be mine. The leftovers will keep you fed for ages. Satana: I don't want your sloppy soul seconds. Mephisto: You're free to leave anytime you please, Satana. I can't take your soul without you giving it to me willingly, but I can always take your life. Loki: Unbridled mischief. Disgruntled pumpkins. Lollipops posing as apparitions. I'm actually enjoying this Midgardian holiday. We'll need to amplify everyone's Halloween spirit to defeat Mephisto. 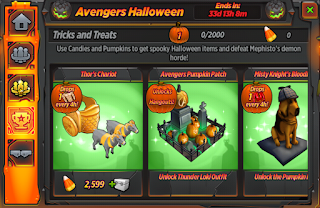 Odin: You should visit one of their fabled Halloween megastores! An endless collection of costumes and various wares stretching as far as my mystical ravens can see! Odin: I'm pleased to see you relating to your classmates, and engaging in the holiday festivities! 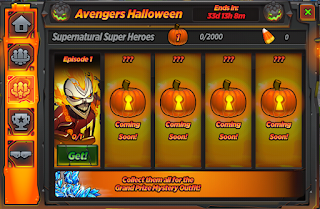 What will be your chosen costume? 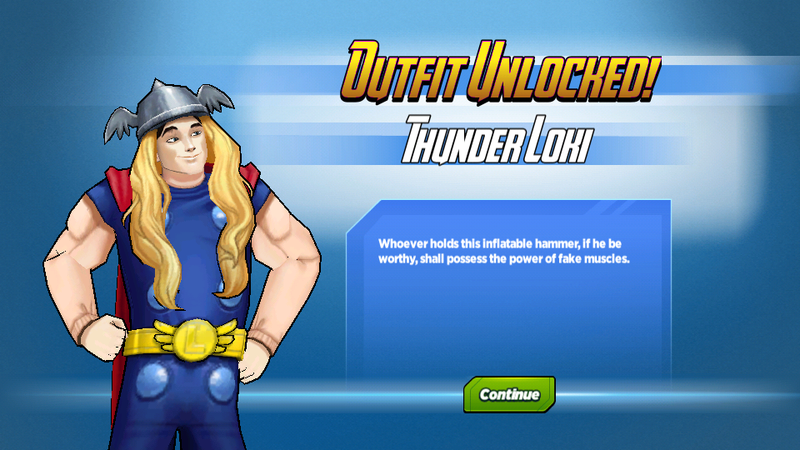 Loki: Awesomely absurd. I would have purchased a costume of my own likeness, but the megastore was sold out due to insanely popular demand. Wasp: That totally never happened! Loki: All that matters is that I will use this strange smelling semblance of my brother to mock him mercilessly, and attack Mephisto with vicious mirth. Wasp: Plus, it's be super fun for you since you secretly love Thor so much, and always wished you had his hammer and big muscles! Loki: I need a replica of my brother's chariot to complete my Halloween ensemble, but something tells me Midgard is lacking in magical goats. Hank Pym: Follow me to my lab! Loki: You have magic goats? Hank Pym: I have so many kinds of goats! Dracula: We no longer need to speak. Loki: I hope your powers of manipulation are more impressive than your minions. I can't have anyone giving manipulation a bad name. Mephisto: I can make you King of Asgard. Mephisto: What would you give to sit on the throne of Asgard? To have your father's power? To make sure your privileged brother doesn't take the only thing you've ever wanted when it obviously belongs to you? Loki: I don't make deals with demons. 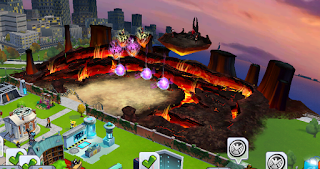 Mephisto: Are you ready to strike a deal, and fulfil your destiny by becoming King of Asgard? Loki: As the Bug-Woman says obnoxiously often, I was born ready. Mephisto: A wise choice. Step into my office, and we can discuss the terms. Loki: Oh, I'll be taking the throne myself. Getting help would diminish the achievement, and working with a demon would leave my clothes stinking of brimstone. Mephisto: Arrogant little fool. You won't live to see Asgard again. You'll watch your classmates tear each other apart before they beg me to take their souls to escape the pain. Loki: Mephisto's power in this realm is derived from negative emotions. We will need to take drastic measures to weaken him enough to be defeated. Wasp: Should I hug him and give him compliments until his eyes bleed?! Loki: I don't think that would work. Even though the alternative is equally disgusting. Wasp: What do we have to do?! Loki: Spend quality time together to strengthen our bond. 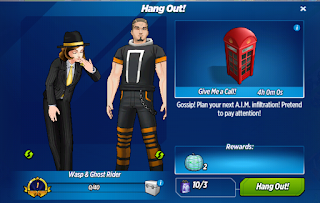 NOTE: To go on a Hangout you must select 2 characters from Wasp, Ghost Rider and Loki, and then a location. 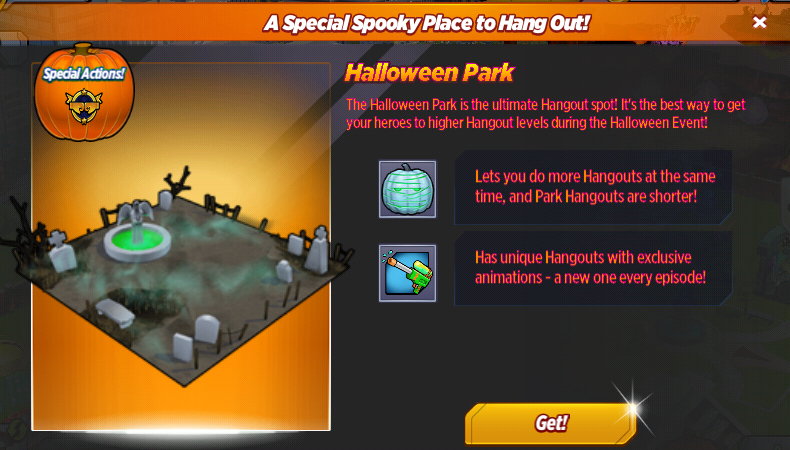 If you have bought the Avengers Park you can do a Hangout in 2h. Wasp: That was so fun! Did you have fun?! Wasp: Me too! Let's hang out again! Loki: It's either that or be tortured and destroyed by an impossibly powerful Hell-Lord, so...I suppose. Black Widow: I think you're right, but I haven't been able to find anything. I'm guessing they were probably using some other kind of magic. 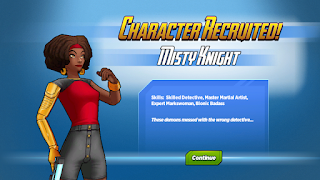 Misty Knight: It's time to call in King Wrinkles. Black Widow: Is he a wrinkly dog who wears people clothes, and knows how to sniff out magic? 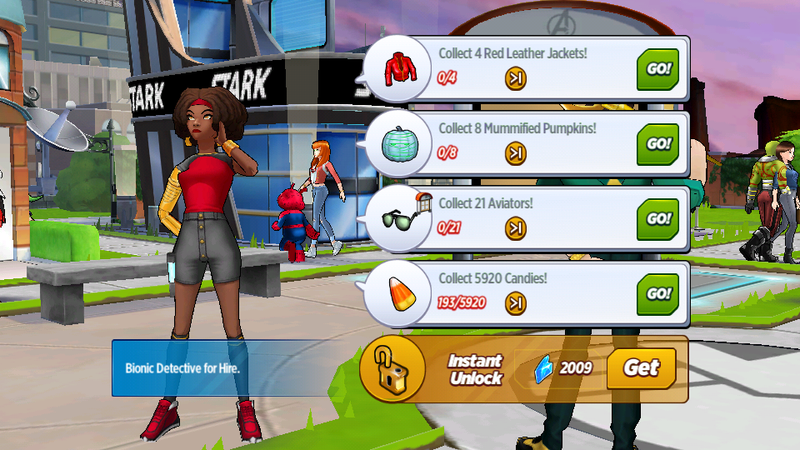 Misty Knight: How'd you know? Misty Knight: King Wrinkles tracked the sorcerer who worked with Mephisto to trap us, but he lost the scent. Black Widow: Could it be Loki or Enchantress? 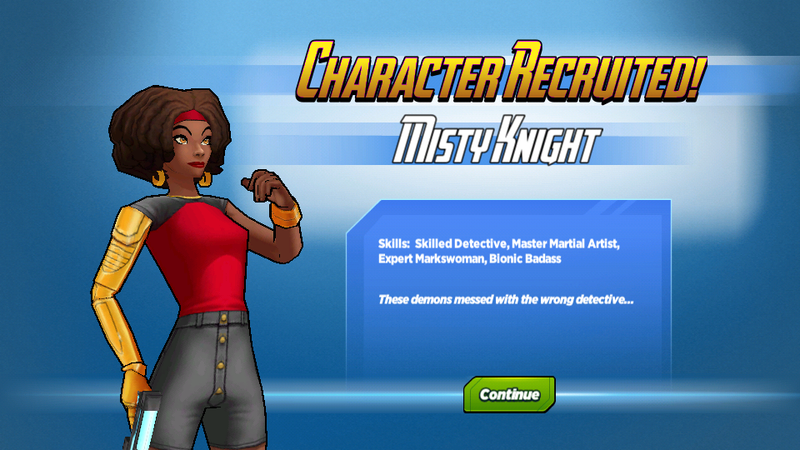 Misty Knight: I don't think so. I think whoever it was might have entered the dimensional rift Mephisto opened to get here, and escaped into a different dimension. Black Widow: My life would be so much simpler without sorcery. Ms. Marvel: Is this your motorcycle?! Ghost Rider: No, not really. It belongs to a guy I know. Ms. Marvel: Let's go for a ride! 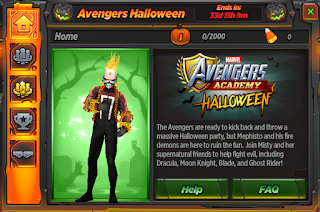 Ghost Rider: I don't think that's a good idea. It's usually not smart to touch another Ghost Rider's Hell vehicle. Mephisto: Enjoy your little motorcycle decoration, Ghost Rider. Let it be a reminder of what I did to your predecessor. 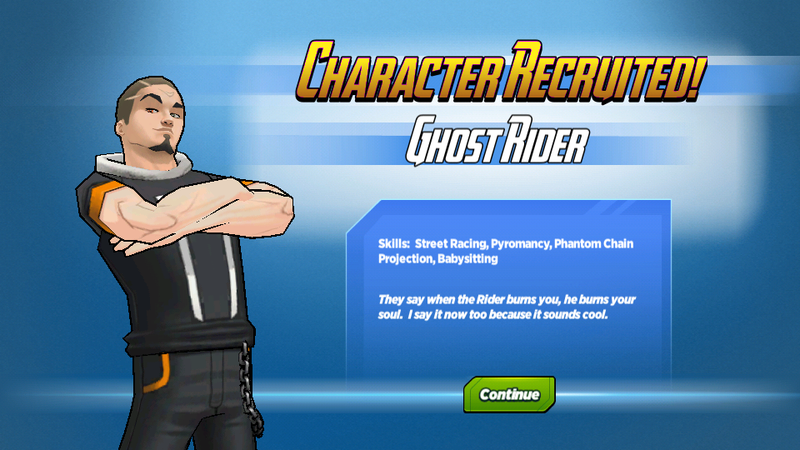 Ghost Rider: You didn't do anything to him. I raced him just a couple weeks ago. Enchantress: If I can find a proper cauldron, I should be able to craft something to dispel those demons. 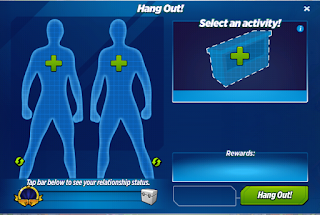 Wasp: Loki says the key to defeating Mephisto is positive energy! We just need to bond more by hanging out together! 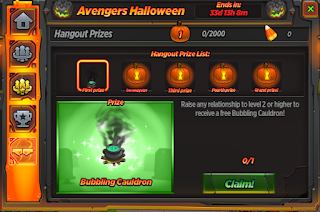 Enchantress: I'd rather hang out with a cauldron. Wasp: Did you craft something in your cauldron to beat Mephisto? Wasp: Are you finally gonna fix your personality?! 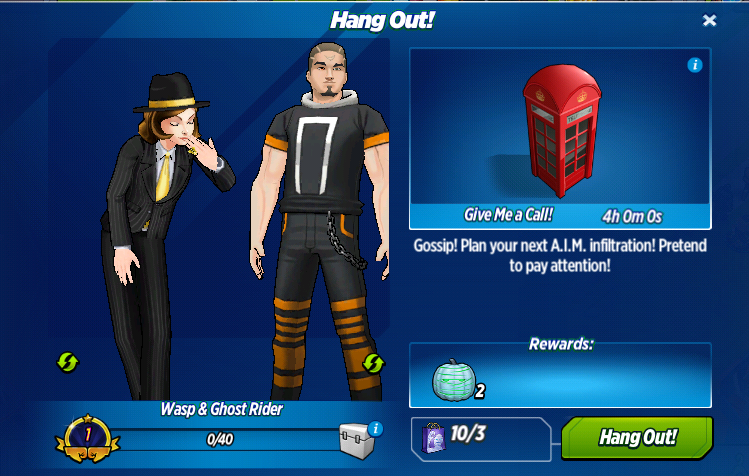 Wasp: Will you help me decorate a haunted house for our big Halloween party? Wasp: You're the scariest person here! Black Widow: Thanks for noticing. Ms. Marvel: Is that a real coffin? Wasp: Totally! Black Widow dug it up! Wasp: At a yard sale! Ms. Marvel: That's a little less disturbing, but still pretty weird. Wasp: Wait until you see what's inside! 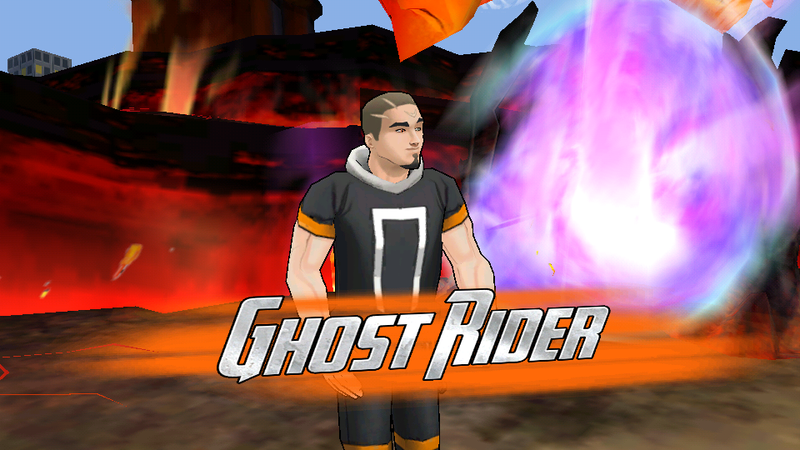 Ghost Rider: You need to get me out of here, so I can help my brother. Pepper Potts: We're already making sure he's taken care of. We were hoping you'd help us trap Mephisto. 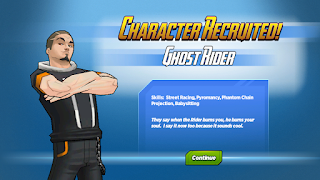 Ghost Rider: Where's my brother? Is he safe? Pepper Potts: Gabe is fine. He's a great kid. We have some of the best S.H.I.E.L.D. Agents protecting him. Pepper Potts: We could really use your help. Do you think you can beat these demons? 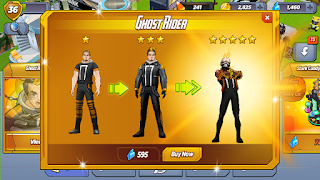 Reward: 120 Shards & Ghost Rider Bobblehead! Defeat 3 Fire Demons Level 1 or stronger! Send a hero on 2 hangouts! Loki: That'll do, Midgardian. That'll do. 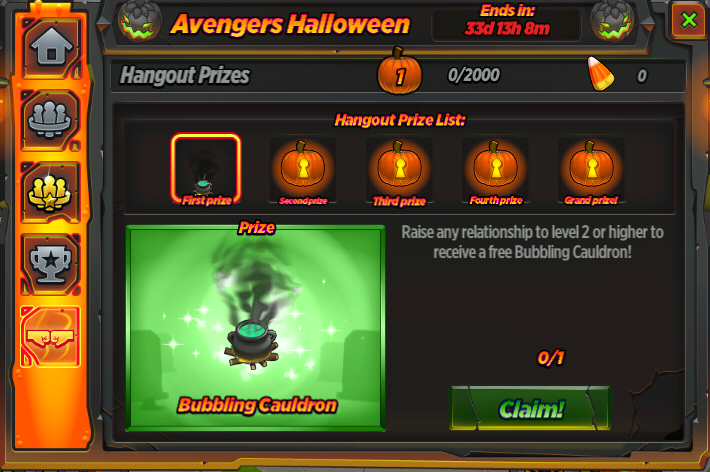 Note: You get pumpkins for completing each part of the questline. Defeat 6 Fire Demons Level 2 or stronger! Send a hero on 3 hangouts! Defeat 10 Fire Demons Level 3 or stronger! Send a hero on 5 hangouts! 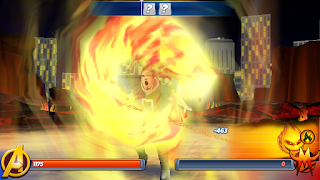 Defeat 16 Fire Demons Level 3 or stronger! Send a hero on 7 hangouts! Reach Relationship Rank 4 with 3 pairs of heroes! 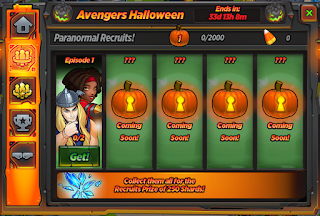 What do you think of the Halloween event so far? Keep an eye out for character profiles etc. coming soon! 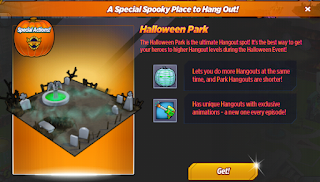 The hunted Halloween park, can you send more the two people on a hangout at the same time?